Margaret Ball's books and art: Yippee! New stuff to read! 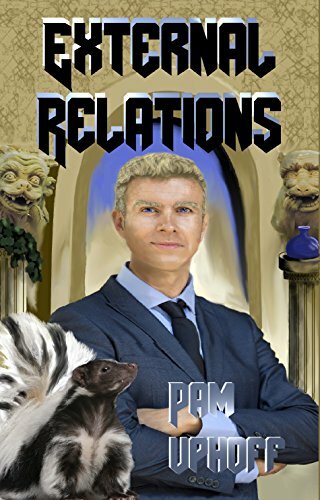 Pam Uphoff's new book in the Wine of the Gods series,External Relations, went live this morning. I've downloaded it already and am working really, really hard to write another couple of thousand words and strip the basil leaves for tonight's pesto before I put my feet up and indulge myself. Should you start with #37 in a series? Oh, why not? Pam's really good at setting the scene so that readers can dive in just about anywhere in the series. And if you don't trust my judgment, well, it's also available on Kindle Unlimited.